We are clearly odd-man out here, but let's go. We have used the gas oven for frozen pizza more than a few times. At one of the rallies, DW did a cooking seminar. She had all four burners going. The coach is a 23'A and we don't even have a TV. When I can't get wire (old expression for internet access), I/we read books. We just don't have enough storage for things we don't need/want/use. We are travelers and are often ONP in less than the most desirable places, so we still carry the "inflatable" bicycles under the dinette. This annoys the two dogs and they loose their den until we hold up someplace we will be a couple of days. Thank you OP for the insight that I have to download and clean up my RV storage for the things that I never use. You can't imagine what wifey put in there. By the comments that I see here makes me wonder just how much a lot of you even camp. We go for 5 1/2 months at a time and just about 80% of the things you do not use we do. Most RVer's, that would be money. The Awning, just don't seem to ever use it. Away from the camper of a day and don't need it at night. We don't camp, we gave up "camping" when we grew up and bought an RV. We use our RV to stay in while we travel. The fire extinguisher. Other than that we use everything often. Opps I forgot the sofabed. We will not use that ever I* hope. 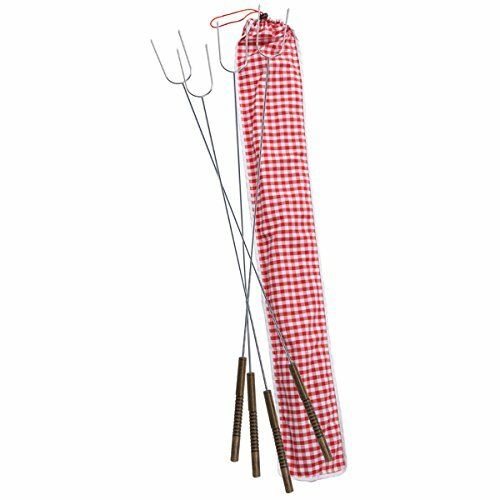 Yep, yet another absolutely worthless camping utensil, the Hot dog/marshmallow METAL FORKS! Too long to fit in drawers so they must be put in a upper cabinet or under the sink where they are completely forgotten until you knock them out of the upper cabinet and they launch themselves right at you causing you to attempt to flee these mid evil devices.. If you do happen to remember you have them cooking a marshmallow on them is a futile endeavor which because the steel transfers heat to the internal part of the marshmallow they soften to fats, rotate on the metal and you only get to burn one side of the marshmallow unit it gives up and melts off the forks into the campfire.. Hot dogs do seem to work but you tend to burn yourself on the super hot forks while trying to pull the dog off these super long metal forks.. Better off to buy long bamboo skewers which seem to work much better and you simply toss them when done..
We have always been minimalist RVers, as others have said we travel and camp for the night and move on, we don't sit in one place more than a day or two at most and usually not much more than 12hr. Largest camper we have ever owned was an 8.5' slide in camper, so stuff that isn't used does't go along for long. In 40+ years of camping we never had a TV. We bought a used B last June with a TV/DVD combo. I turned it on to see if it worked, DVD worked, needed to be plugged into cable for the TV to work no antenna. After the first outing we decided it would not get used much if at all, other have given the reasons. I pulled it out and found a large empty area that had no access before, so I boxed in the space and added a door and have one of our more useful storage areas since it is right by the kitchen. We tend to go on two different kinds of trips so a few things move in and out depending on the trip. We will see after this Summer what needs to be removed or added.